Many first-time home buyers are encouraged to shoot for a traditional, 30-year fixed-rate mortgage. While this is often a lofty goal, the truth is that there are some advantages and disadvantages that should be considered first. Before you decide to go with a 30-year fixed-rate mortgage, weigh the following pros and cons very carefully. One of the biggest advantages is the fact that your mortgage payment remains virtually unchanged over the life of your loan. There are only minor fluctuations to account for changes in insurance and property tax obligations. This makes it easy to calculate monthly expenses, and might even allow you to set aside additional money to put toward savings or retirement investments. A fixed rate loan spread over the course of 30 years results in more affordable payments. The downside is that you could wind up spending more in interest than you would if you took out a 15 or 20-year loan instead. What’s more, you may not even realize just how much interest you are paying in the long run. By the time you have paid off your note, you could have spent 2.5 to 3 times the home’s purchase price. If you do choose a fixed-rate 30-year mortgage, consider putting a little extra on your principal each month. That way, you can eliminate your loan a few years early, while maintaining the overall benefits of lower, more affordable monthly payments. Having a fixed interest rate can be either a blessing or a curse. On one hand, you are protected against sudden spikes in interest rates (such as those that occurred during the housing bubble). 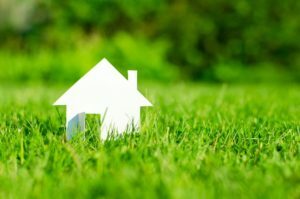 On the other hand, you’ll have to refinance to take advantage of lower rates if there is a sudden decrease in interest. Of course, you are subject to additional fees and closing costs any time you refinance, and will therefore need to determine if spending the extra money is worth it in the long run. Quicken Loans estimates that the average homeowner moves or refinances every four to seven years. Those who do may benefit from an Adjustable Rate Mortgage (ARM) instead. ARMs generally have lower interest rates up front, and may even be fixed for the first three years or so. If you sell before then, you can realize lower interest rates than if you took out a traditional 30-year fixed rate loan. A conventional 30-year mortgage is better suited for those who plan to remain in their homes indefinitely. It protects buyers from the extreme market fluctuations that are bound to happen over the life of a loan. The stability it brings is one reason a 30-year mortgage has remained one of the most popular options out there. Is a 30-year fixed rate mortgage the best option? That all depends on your goals. Before choosing a loan based on what others are telling you, take time to compare all your options. Only then can you truly be sure that a fixed rate loan is the right choice for you. This entry was posted in Blog and tagged Fixed Mortgage, The Pros and Cons by Scott Li. Bookmark the permalink.